OE Cable Ladder System is designed for heavy loads. Especially suited for Oil & Gas installations. 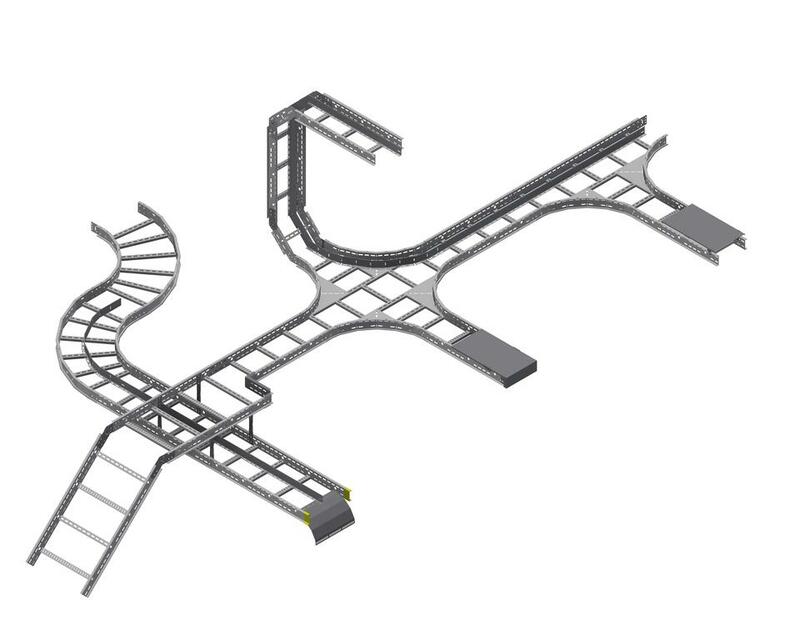 The OE Cable Ladder System is designed to offer high loading capacities together with significant weight reductions. 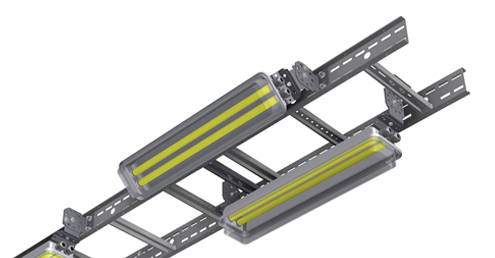 OE Cable Ladders are designed to be safe, and give distinct HSE benefits. 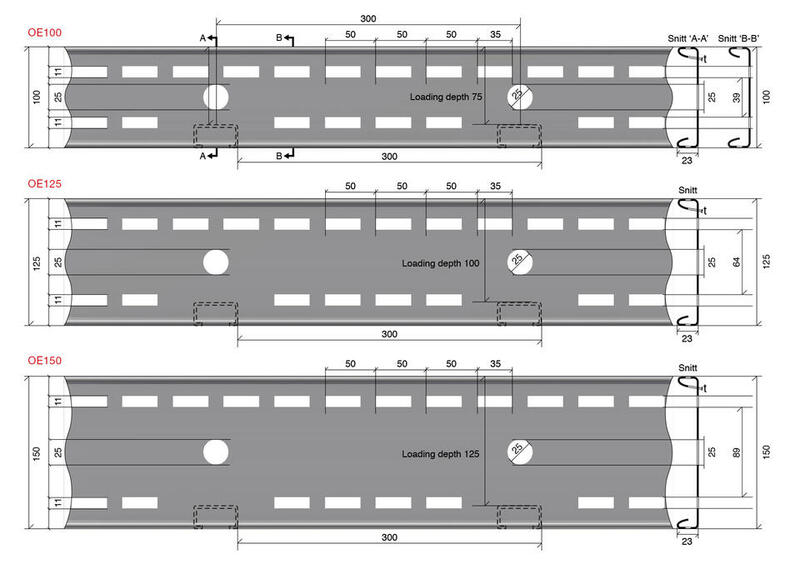 All parts are roll formed with return flanges and have no sharp edges. Handling, lifting and fitting operations are inherently safer, easier and quicker. All welded stainless steel products are pickled and passivated to meet the expectations of long field lifetime and integrity requirements. 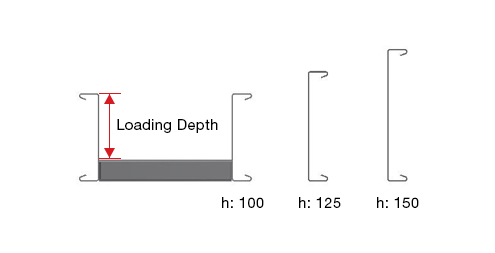 Different ladder heights offer several choices for efficient positioning of the loads and full optimisation of the area, including possibility for future expansion. 150, 300, 450, 600, 750 & 900. 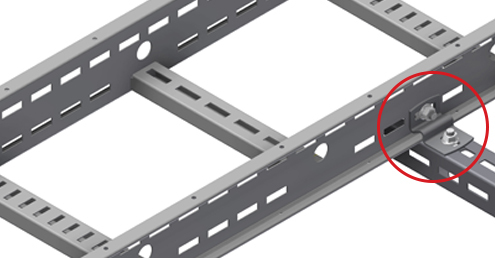 OE Ladders have alternating slot patterns on the rungs, allowing for optimal fitting of both cable ties, short circuit cable cleats and tubing clamps without compromise. 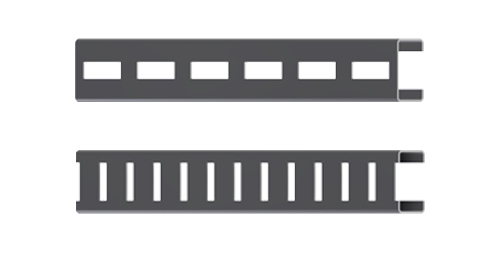 Perforations throughout the length of the side rails provide simplified installation on to the support, and allow ladders to be quickly and securely connected and adjusted. 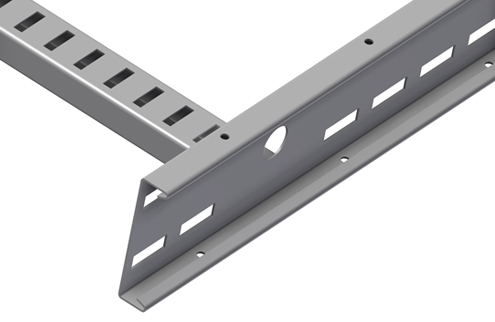 The rail and rung design also gives the option to connect equipment directly onto the ladder with no need for drilling or unnecessary and heavy extra bracketry.